A real back saver. Well worth he money. Cheaper tan a Dr. visit and pain pills. Didn't think I would like it, but now I don't go to the range without it. I bought one of these to use at our indoor pistol club. It works easily and smoothly. If I use the broom and dustpan to pick up brass, I get all kinds of floor dirt along with the brass. And, I get a little tired and sore picking up 50 or 100 rounds one-by-one. This "Wizard" picks up the brass without the dirt, and without bending over. I ended up donating it to the Club, and I ordered another for me to use outdoors once spring arrives. Best thing I've ever bought. Saves my back and picks up the brass faster then three people, would rec emend getting one if you do a lot off shooting. I was sceptical at first, but after being recommended this I took the plunge and ordered it. The thing really works! Sometimes it drops a couple of the collected brass, sometimes you have to roll over a couple of times to collect them all, but it really does work. I just wish it collapsed into a smaller package, as I can't store it at the range and the handle doesn't fit in any range bags. The Ammo Brass Colector is simply the best brass-picking (collecting) device we have seen or tested to date for centerfire pistol and rifle cases. 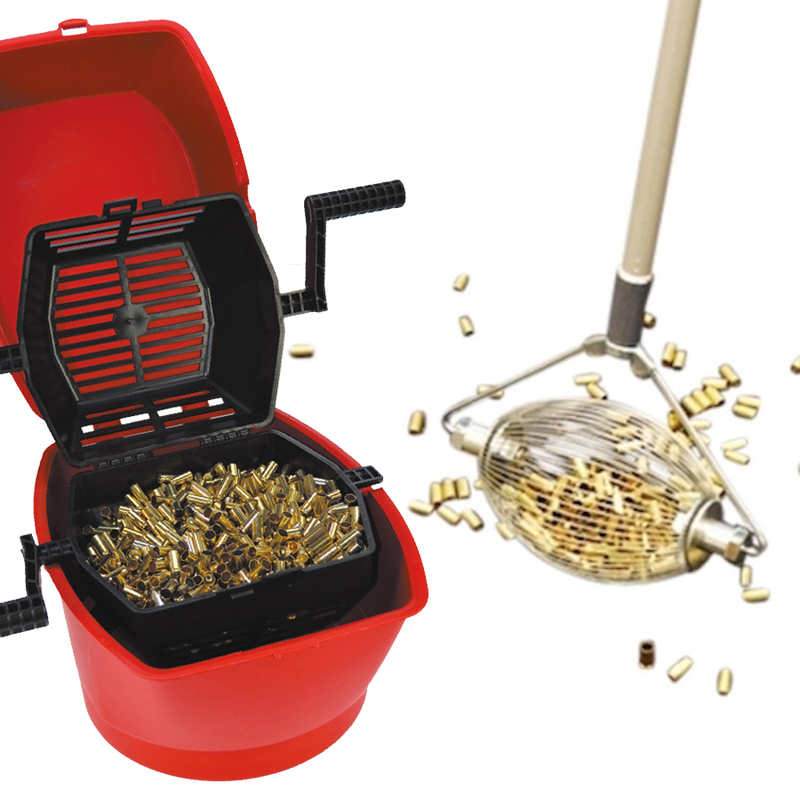 This broom styled roller device easily picks up spent brass from the range. Simply roll it over the ammo brass you want to pickup and it captures it within its wire cage. It works not only on hard surfaces, but in grass and dirt as well. 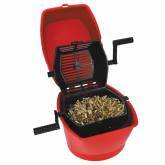 Supplied with a dumper device that can be attached onto any mid-size bucket (not included). Stick the point of the dumper into the Ammo Brass Wizard cage, twist π turn and the Ammo Brass Wizard releases its contents into the bucket.